When you need to use a web service such as web hosting or a web server, there are several options to consider. Depending on what you’re trying to achieve, one service might fit your need and budget more than another. Knowing the difference between these services can save a lot of headaches and time. Web hosting services are for when you or your company need an official website up and running 24/7, easily accessed from anywhere on the internet. These services specialize in hosting websites, and cut most costs and technicalities of running a website by typically having data centres full of dedicated servers for clients to rent. Web hosting services can also provide additional space within their data centres for colocation services. If you’re only looking to host a website, and don’t need a server for any additional services, web hosting is the most cost efficient and direct route to go. 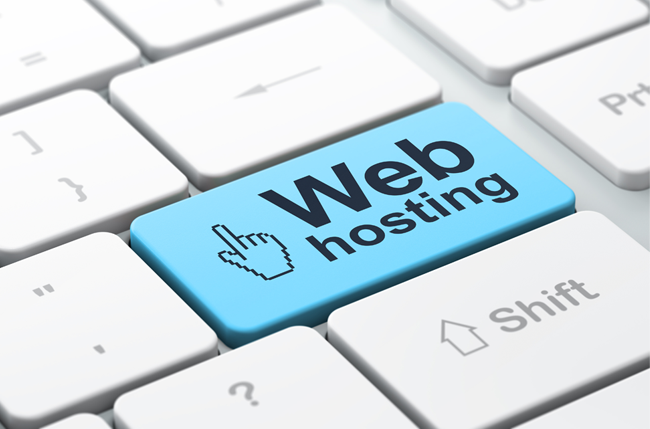 Web hosting companies may also provide server colocation space within their data centres if you need it. Server colocation services are for when your company needs a group of connected servers. Colocation allows you to rent out blocks of computers within a data centre, varying depending on your size and need. 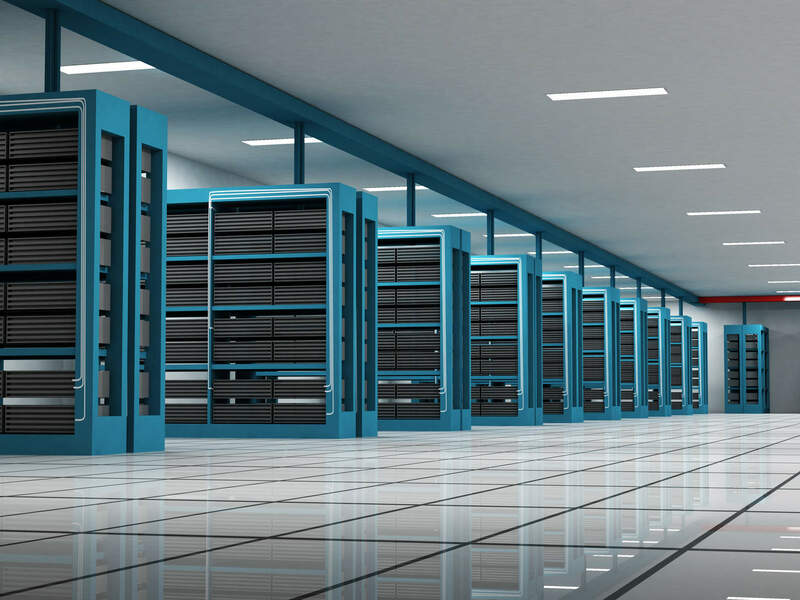 Colocation provides a safe and efficient way for constant connectivity and data housing. Efficient routing of space and power — The servers are arranged efficiently withing a managed data centre for optimal performance and cost efficiency. Managed by professionals — Servers are managed by experts to ensure technical problems are avoided or dealt with quickly and appropriately. Upgrading is made easy — As your company grows, you may need more servers to compensate. With colocation, you can rent out additional space within the data centre. A virtual private server is a server that shares its hardware and resources with other customers. Virtual private servers run instances of internet connected operating systems and give customers complete control to run any software they’d like. Virtual private servers may be offered additionally by web hosting companies, and virtual private servers themselves can be used for web hosting. If you need additional control for your web server, virtual private servers are worth considering. It is worth noting that performance may vary as the server’s resources are shared. A dedicated server, like a virtual private server, allows you complete control over the operating system. You may run any software or operating system you wish on a dedicated server. Unlike a virtual private server, dedicated servers are not shared with anyone else. Because dedicated servers are not shared, they tend to be much more costly than virtual private servers. They are generally more for IT professionals for their power and technical knowledge required. Web services give you many options for what you’re trying to accomplish. Consider what each offer to choose what’s right for you. Every time you are about to hunt for a superb budget-friendly place to visit, Malaysia should always be among your top priority all the time. The country has bustling cities, diverse array of food options and, above all, friendly people. Also based in Malaysia, Kulim city is another vibrant city worth mentioning, a city where people can easily find some decent array of convenient hotels to book and stay anytime they need some accommodation—and most of these hotels are even budget-friendly for your string purse and wallet, too. They are all packed with spacious rooms, most of them have fast Wi-Fi connection, and are also near convenient stores where you can easily access a bank, do shopping or simply, go out for a walk. Because some hotels in Kulim city are more expensive compared with others, below is a summary of the top 5 budget-friendly hotels around Kulim city which you can book anytime you need decent accommodation—all at a fair price. Many people love this hotel because it’s quite safe, clean, near a convenient location, and it’s a great value-for-money too. Look to enjoy a lovely night in spacious quality rooms which are packed with very warm, cozy beddings to ensure that all your night sleep is well catered for. In the morning, let your mind be blown away by the stunning views that sweep the city while sipping a fresh cup of coffee from your room’s window. Other than Sunway hotel’s rooms being rather spacious and comfy, the hotel lacks a parking area where people can park their vehicles nonetheless. This is definitely an ideal place people should book every time they are looking to enjoy a fabulous night. E-Red Hotel acquires most of its appeal from the fact that, it’s located only a walk away from the Carnival City Mall where people can easily access banks every time they run out of cash. The hotel is also very affordable, to say the least. The downside of this hotel is that breakfast is not catered for, but this shouldn’t worry you much because you’ll find a couple of restaurants dotted around in which you can fill your stomach anytime. This is another value-for-money hotel and you will definitely love it for its plush spacious rooms, expansive bathtub, comfy bed and pillows. Each room has an LCD TV in place, meaning you’re not likely to miss your favorite episodes. And each room is also Wi-Fi enabled, meaning you can chat with friends and loved ones anytime you get lonely or feel homesick. Make sure you change the blankets to a comforter in case the weather becomes cold and chilly. One thing that will make you love and be in awe with this fabulous hotel is that its staff is very friendly towards clients. At the customer’s care desk, be ready to be welcomed with a warm greeting, though in a local accent, such as “Seha” or “Shamu” or “Nadea” and “Sri”, to mention a few. Also, breakfast here is such a good spread and dinner is superb, too. Above all else, the hotel management should better do something about their Wi-Fi. It’s quite slow than usual, apart from this everything else is splendid! And lastly, Aroma hotel is another fabulous hotel where you can check in anytime you want to pass the night. It’s such a convenient stay and also good in terms of price. More so, its rooms are quite spacious, very clean, and contain fast Wi-Fi. Also, around the surrounding areas you will spectacle a rich array of restaurants, pubs, malls, and massage centers which you can splurge on anytime you want to relax. Something else that makes this classic hotel a value-for-money property is that it’s just 500 meters away from the serene Penang Island. It also has good house keeping staff, too. In a nutshell, anytime you happen to find yourself hanging around Kulim’s magical city and need a place to pass the night, make sure you check out the hotels listed above. All of these hotels are very budget-friendly, located near convenient stores, quite spacious and clean, Wi-Fi enabled and more—all tailored to ensure that you enjoy your stay to the fullest. More so, all of these hotels are located within a short radius from Kulim city about 10-15 miles away, so you shouldn’t worry about missing a flight at any particular time. All the same, make sure you pay these hotels a visit anytime you need decent accommodation. What makes these hotels even super-cool is that you can enjoy their stay even while on a budget. Give them a try, you’ll love them big-time and maybe even find yourself visiting Kulim city more and more! When you’ve just had a baby or if you’re pregnant now, thinking about your skin post-pregnancy is a big deal. Many women experience some of the pitfalls of pregnancy on their skin. For example, stretch marks are some of the biggest problems. For example, just one body care product can make all the different. Stretch marks are some of the worst offenders when it comes to pregnancy skin, but they’re nothing to truly be worried about or afraid of. It is completely normal to have stretch marks from pregnancy, and in fact, you should expect them. But do remember that you can avoid lots of stretch marks on all parts of your body by simply taking care of them as they come along and preparing for them beforehand. For example, you should try to use a stretch mark preventing cream of some sort on your belly as it grows. Working out will help keep your skin elastic. Yoga and stretching in general is a good way to do this. You don’t have to run marathons, and really, you shouldn’t when you’re pregnant, but you can do yourself a favor and start getting to the gym or taking a class every once in a while. If you do this from the start of your pregnancy, it won’t be difficult to continue as you move through the nine months and on into motherhood. Many women who are pregnant or in post-pregnancy experience a lot of blemishes on their skin. These blackheads and zits may occur on the face, neck, chest or back, and they are often caused by the hormones that surround pregnancy. If you would like to avoid getting acne scars from zits, make sure you treat these spots as they come along. For example, use a cream or serum that contains salicylic acid in it as this will help to get rid of blemishes by drying them out. A slimming cream can help reduce cellulite and extra fat buildup on many parts of your body. For example, if you tend to get fat buildup on your thighs, stomach or buttocks, a slimming serum or cream is going to help tremendously. Just follow the directions you get with the product. 5. Finally, remember to create a regimen for yourself follow. If you don’t do this, you run the risk of forgetting to put on some of the creams you’ve purchased or use some of the other products that can help you get amazing skin even after pregnancy. Creating a high-quality regimen is easy. Just to jot down the steps you would like to take for yourself each day, and keep a list somewhere where you’ll see it. For example, put it next to your mirror in your bathroom or on your vanity in your bedroom. This is the final thing that will help you look great after you’ve gone through pregnancy. Moles, also known as Naevi in the medical mainstream, are small (non-cancerous) skin lesion or cut that may occur anywhere in the human body. Some are brown, others are black in colour and may appear either alone or in a small cluster–also their texture feels different from person to person. Moles occur when melanocytes (a different class of skin cells responsible for our distinct skin colour pigment) grow in small clusters than usual, rather than being evenly spread throughout the skin. On the other hand, many people choose to remove moles on skin merely for aesthetic purposes in order to boost their confidence more, every time they are around people. Luckily, a great variety of moles can be removed from skin effectively through surgical treatments, skin creams and home remedy treatments. If you’re low on cash but wish to further enhance your beauty, here is a list of some effective home remedy mole removal treatments that will help get rid of the moles that might be blocking your self-confidence and flawless beauty altogether. Many people prefer Aloe Vera mole treatment more than any other treatment because it is completely painless, and the fact that it’s both a natural sunscreen and contains topical anti-bacterial property–which makes it a top remedy for many! Following this procedure about 2-3 times a day should get rid of all the moles within a month. And if you can’t find aloe leaves anywhere, you can always purchase a bottle of organic aloe from any local health food store around your area. There’s a lot of subjective evidence that posits that both castor oil and baking soda are highly effective remedy treatments for moles. Castor oil in particular usually has discutient (the potential to disperse or eradicate pathological growth) properties, which play a big part in reducing unpleasant scars on skin. – Follow this procedure every day and within a month, you should see a dramatic change. Flaxseed is especially an effective treatment against raised moles on skin. It slowly cuts off all the moles from the edges of skin, allowing them to come off easily. Honey also has scar removal properties and is full of anti-bacterial properties, which protects the hurt area from secondary infections. Doing this treatment about 3 times a day may eliminate all the moles in just a few weeks. Garlic has vital enzymes that help break down some of the abnormal cell combination that appear on skin in the form of a mole. For you to use this treatment effectively, first cut a piece of garlic tube, and then place the cut part directly on the mole. Make sure you hold the garlic tube in place using adhesive bandage and medical tapes and let it stay overnight. For fast results, apply this garlic treatment every night before you go to bed and eventually, all the underlying conspicuous moles on skin will be long-gone within a few weeks. And finally, there is a lot of subjective evidence that suggests that banana peels could be powerful treatment for moles. To get started with this treatment, simply cut a piece of banana peel and lay its gummy-like part on each mole. Hold the pieces together with adhesive bandages and leave it for at least an hour. Doing this every day will more likely eliminate all the moles within a few weeks. Above are some effective home remedies you can use every time you choose to remove all moles underlying conspicuously on skin. All these treatments are highly packed with vital anti-bacterial properties and other skin-healing properties that will ensure all the moles on your skin are eliminated in just a few weeks. They are also easy-to-use and perfectly safe home remedies. Make sure you follow direction of use carefully on how these treatments are applied on the moles every day, and within a few weeks your radiant beauty will be good as new! However, if these treatments do not help, arrange an appointment with a dermatologist around your area to seek further treatment. Beauty will always be a part of the lives of people across the globe. The truth is, being aesthetically pleasant is something everyone wants to achieve. That is why the demand for plastic surgery and other cosmetic procedures continue to increase worldwide. In the United States alone, the American Society of Plastic Surgeons (ASPS) annual report says that a total of 15.9 million procedures, both intensive and minimally-invasive cosmetic surgery procedures, were performed in 2015. The rate increased by 2 percent since 2014. One of the most commonly sought after cosmetic procedures is Botox injection. The demand for botulinum toxin injections including Botox, surpassed 4 million procedures performed in 2015 alone. Derived from the botulinum toxin type A, Botox is a brand name for a highly-purified preparation of botulinum. It’s used in various cosmetic and medical applications. The main purpose of this procedure in cosmetics is to reduce and remove wrinkles, eventually making the skin young-looking again. If you are wondering who are the ones injecting Botox, doctors practicing cosmetic surgery and dermatology are trained and skilled to perform this procedure. An increasing number of patients opt to find an aesthetic doctor in Malaysia, who is reputable and well-versed in this line of expertise. It is a common myth that the Botox injection is actually poison. While botulinum is toxic, it is highly poisonous, in small doses it is considered safe to use. In fact, Botox is used in a wide range of medical applications aside from its cosmetic use. Rumor has it that when a person gets a Botox injection, he or she won’t be able to show any facial expression. Well, sorry to burst the bubble, but Botox injections, when done properly by a professional, will allow the client to express emotions. Botox injections are temporary remedies for wrinkles and fine lines. In fact, an injection usually lasts for five months and it some cases, it can last for up to eight months. 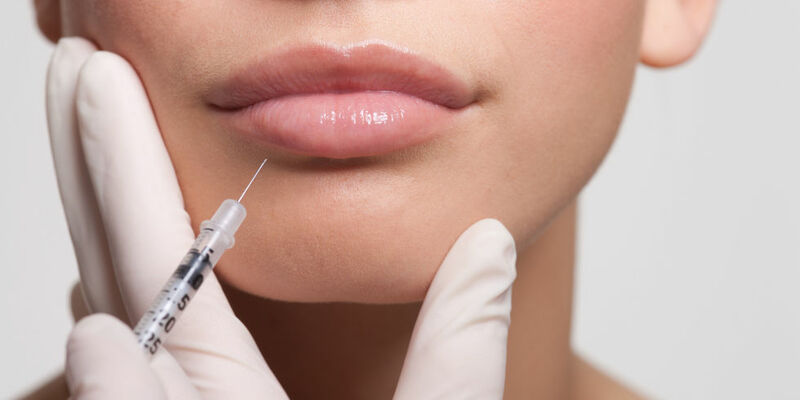 Any injection can hurt but the needs used for Botox injections are so small, that pain is just minimal. The treatment involves the application of a topical anesthetic cream prior to the injection. The administration of Botox injections are not painful and as soon as the procedure is done, the client can return to normal activities in a couple of hours. Botox injections are becoming popular by the minute because of its wide range of uses both in the medical field and in the world of cosmetics. It curbs the premature signs of aging such as fine lines and wrinkles in both men and women, making them young-looking and fresh.